Soen have released a video for their new single Martyrs. The track has been taken from the band’s upcoming album Lotus, which will launch on February 1. Frontman Joel Ekelöf says: “The video and the song reflect the importance to stand up for yourself and not be trapped in other peoples’ expectations of you. The band recorded Lotus with producer David Castillo and Iñaki Marconi at Ghostward Studios and Studio 6 earlier this year, with the new record Soen’s first with Canadian guitarist Cody Ford. 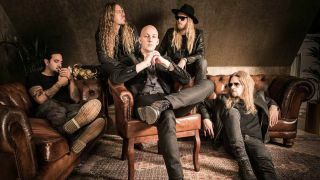 Following the release of Lotus, Soen will embark on a European tour, which will get under way in Oslo on March 12.